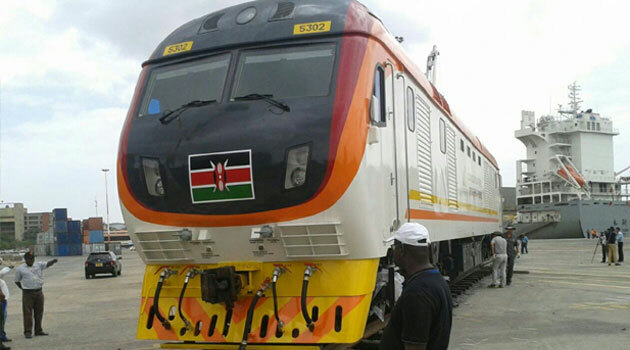 Investigations have revealed that there are more than 4,954 Chinese nationals working for the Standard Gauge Railway (SGR) project against 1600 Kenyans working for the project. This is against the initial agreement where the ration of Chinese to Kenyans working on the project was supposed to be 1:3. An investigative piece by the Sunday Standard shows that there are more than more than 1,100 civil engineers, about 200 bridge engineers, 150 Railway engineers, over 120 translators, about 100 accountants, at least 90 architectural engineers, over 85 electrical and mechanical engineers, more than 80 electricians, about 50 Chinese cooks, over 30 administration officers and 15 dietitians, all Chinese nationals. The remaining are hundreds of highway engineers, welders, surveyors and a number of archivists, carpenters, assistant engineers as well as asphalt plant experts and operators. The list also includes automation engineers, bench workers, decoration engineers as well as business administrators. To complete the operation are doctors including doctors of traditional medicine, computer engineers, secretaries, chefs, chemical engineers, cost engineers, crane conductors, welders and interpreters. The list is endless with hundreds of others working using tourist visas, while others have applied for work permits. The big numbers of Chinese obtaining work permits to Kenya has been encouraged by the fact that Chinese staffers working for the SGR are exempted from the Sh400,000 work permit fee required for expatriates. The Chinese are eating life with a big spoon at the expense of the Kenyan taxpayer, most of them living at the leafy suburbs of Lavington, at the White Heights. Government officials who are directly answerable to the issue do not know or pretend not to know the number of Chinese working in the project. Immigration Principal Secretary, General Gordon Kihalangwa says the Government is currently doing a verification exercise to establish the actual numbers, raising questions on how the government could be unaware. “It is very difficult to tell now until we finish the verification exercise,” said Gen Kihalangwa, as quoted by the Sunday Standard. Last week, the same paper unearthed extreme racial practices by the Chinese against Kenyan staffers working in the project. However, this irked the government triggering a disgusting response from the Government spokesman Erick Kiraithe. Things seem to be getting out of hand at one of President Uhuru’s legacy projects with a number of Chinese managers at the project being referred to as untouchables, well connected with the ‘mafias’. Last week, the government announced that it had launched probe into the racial discrimination allegations.